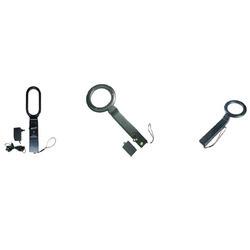 Our range of products include door frame metal detector and hand held metal detector. For meeting the specific requirements of our prestigious clients, we are providing them a wide gamut of Door Frame Metal Detector. The offered product is used to detect both ferrous and non-ferrous metals. 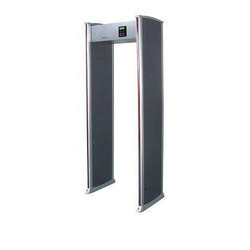 Our offered Door Frame Metal Detector is used for security purposes in different hotels, corporate offices, shopping malls and other related areas wherever security is the prime factor. The offered product is also delivered to the clients within promised time frame. In order to fulfill the security demands of our valuable clients, our company is offering a comprehensive range of Hand Held Metal Detector. The offered product is used for different security purposes as per the requirements of the clients. Our offered Hand Held Metal Detector is used in different offices, malls and other related areas. The offered product is tested on various parameters in order to ensure their flawlessness at our clients' end.